Day three of our Wild Atlantic Way road trip brings us north to Leenane, on a sunny morning promising to turn into a late summer scorcher. 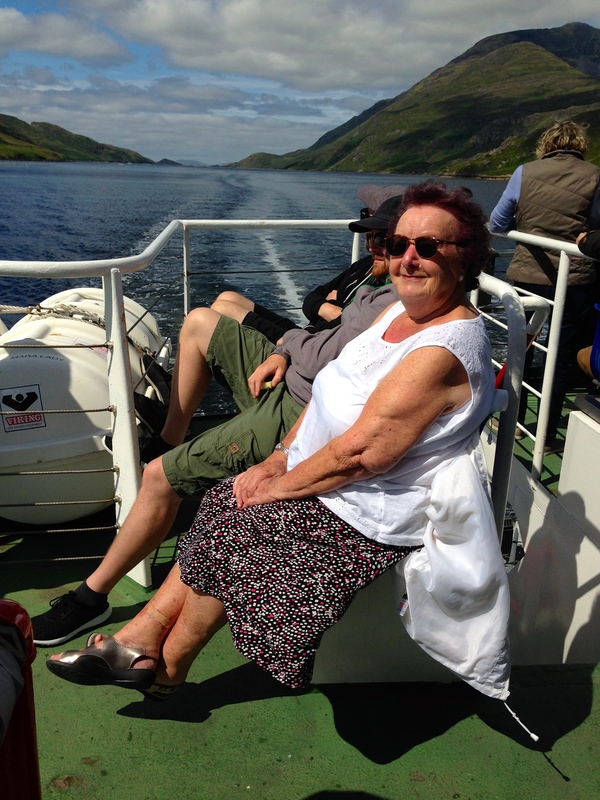 We check in at Killary Fjord Boat Tours for a ninety minute cruise. 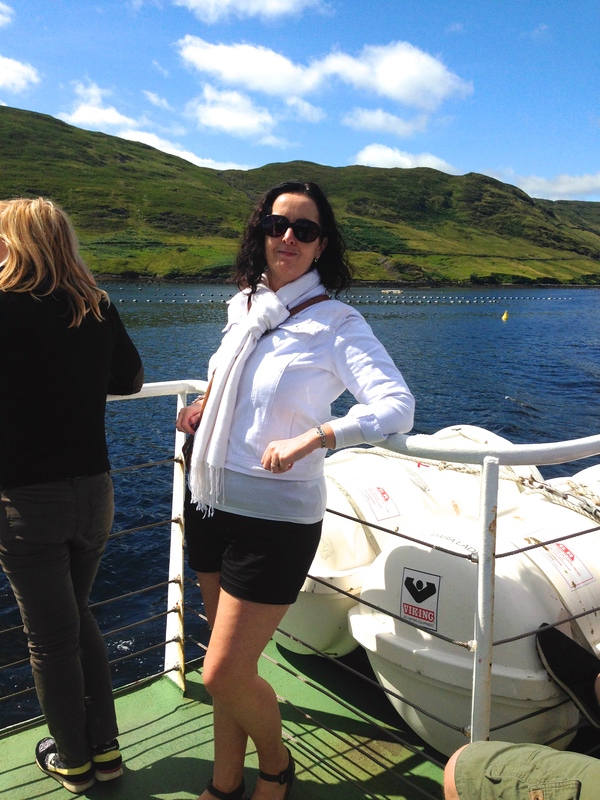 The twin-hulled Connemara Lady carries 150 passengers and promises a stable ride: no seasickness or your money back. We are welcomed on board by a local crew member whose smile and easy manner seem to indicate how happy he is in his work. We’re still not convinced by the sunshine: this is Ireland after all, and a cruise to the mouth of a west-facing fjord still promises to be pretty chilly. I’d convinced myself to wear shorts that morning and now I feel a little exposed. We steel ourselves and choose an outside spot nonetheless. 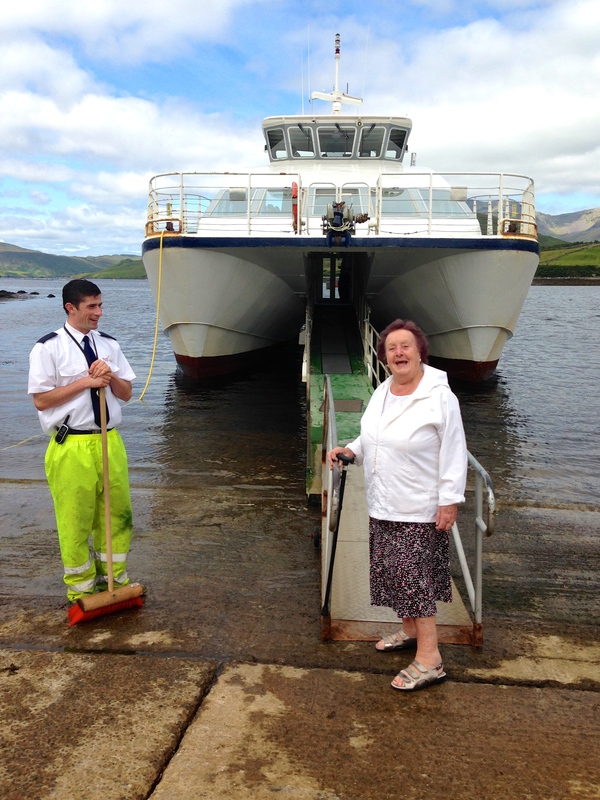 The Connemara Lady departs on time. 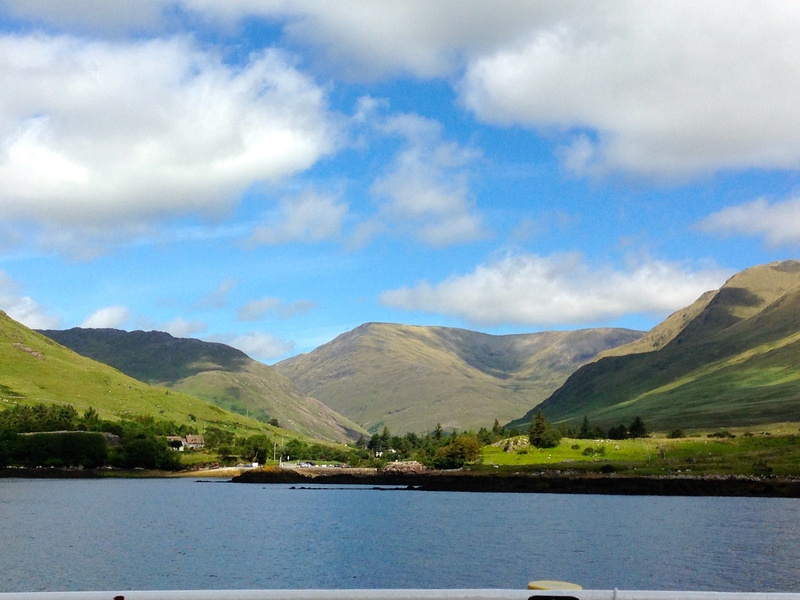 The scenery is outstanding, made all the more beautiful by the sunshine which continues unabated. 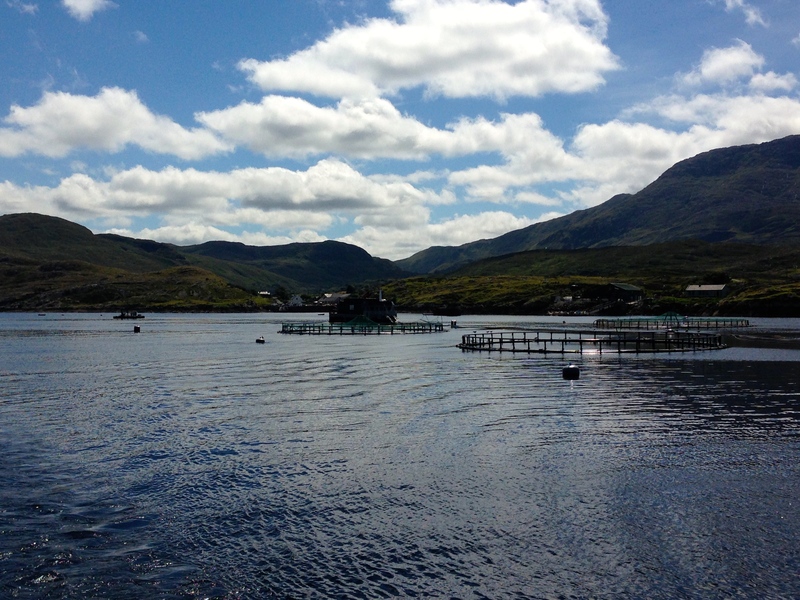 The recorded commentary points our gaze to the aquaculture in the fjord – mussel and salmon farming for the most part – and also to the signs of pre-famine life along the banks of the river. We see clear signs of “lazy beds” on the nearby slopes, the grassed-over ridges and furrows of failed potato crops that were never harvested. Nearby, ruined villages stand as monuments to families who died, emigrants who never returned, communities that were decimated by the potato blight. Even with echoes of this sorrowful time all around us, the green and blue backcloth all around us is just spectacular and made even more so by the strengthening sunshine. Passengers quietly remove sweaters and rain jackets or move into the shade. We turn our faces to the sun and know that somebody above is looking out for us. Today is the perfect day to take this journey. 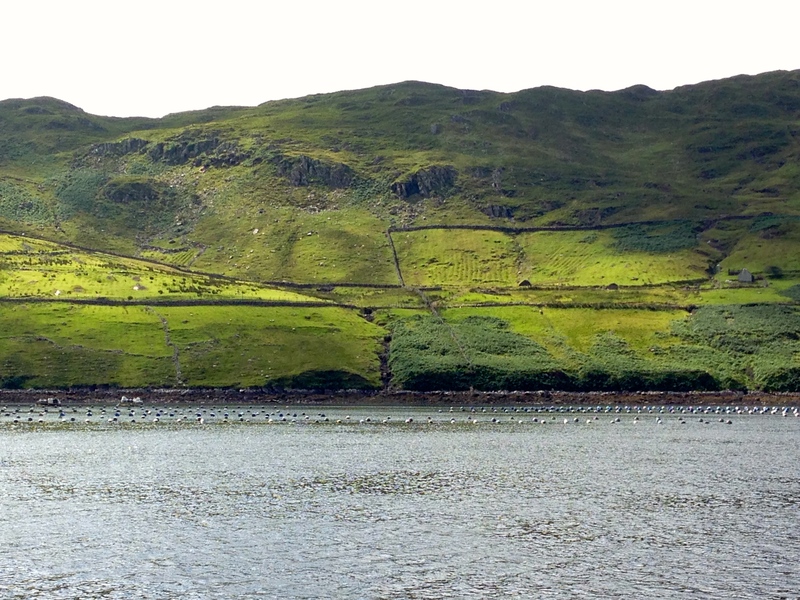 At the mouth of the fjord, at Fox Island, the Connemara Lady turns around and heads eastwards towards Leenane. I can see a group of people walking an old ruined road on the south edge of the fjord, something I file away for another trip, another late summer morning. The greens and blues of the landscape become even deeper as we watch the world go by from our vantage point. Who could have imagined such stunning weather after the terrible summer Ireland has just experienced? I close my eyes and tilt my face to the sun, breathing in the clean Atlantic air. This is why Connemara is my favourite place on earth.